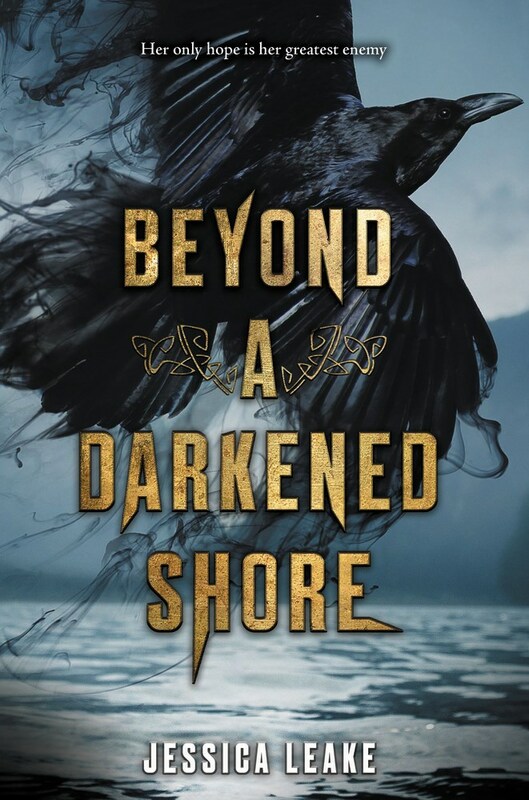 We are pleased to have author Jessica Leake in the Author Spotlight today, her YA novel, BEYOND A DARKENED SHORE. (HarperTeen 2018). Be sure to enter a giveaway for a copy! Tell us about your background and how you came to write for teens. I have always been in love with storytelling, even from a very young age. I think maybe my first book was written on a yellow legal pad and probably featured unicorns because unicorns = life when I was little. I actually went to school to be a psychotherapist, but even then, I was writing. I worked for many years as a therapist on the psychiatric wards of a hospital, but it was actually when I was on maternity leave with my first child that I began to seriously think about making writing my full-time career. I’ve always loved stories about self-discovery and new romances and just coming into your own, so I found myself drawn to YA. I’ve written books for adults, too, but YA is my true love. The YA community is just the best, too. Not just the authors, but the readers! Everyone is so passionate about reading and about characters…I love it. Congrats on your debut, BEYOND A DARKENED SHORE. Tell us about it & what inspired you. Thank you! This book is an homage to all the things I love to read about: mythology (this has Celtic & Norse mythology), fierce battles, forbidden romance, and a strong female MC who is very much on a journey to find herself even as she’s trying to save her whole world. I take inspiration from many things, but I’ve always wanted to write about Ireland—I’ve always been fascinated by all the Celtic legendary creatures and people (like the Morrigan), and once I did a little research and realized the Vikings had taken over whole cities in Ireland, it seemed to be the perfect melding. Your book is a historical fantasy. What does that mean, and how much research did you do? That means it’s set during a historical time period—Ireland during the 11th century—but with fantasy elements: Celtic mythology, Norse mythology, and supernatural abilities (like Ciara’s power to take over someone’s mind). A lot of research went into this book, as I wanted it to be historically accurate as far as setting. The clothing, armor, weapons, cities, Viking and Celtic battle tactics, as well as belief systems of both Celtic and Norse peoples, were all part of my research. Some of the characters mentioned, too, like King Sigtrygg of Dublin, really existed. My next book with HarperTeen comes out Spring of 2019, and it’s called THROUGH THE WHITE WOOD. It’s set in 11th century Russia, and is sort of a FROSTBLOOD meets THE BEAR AND THE NIGHTINGALE. A girl with a power to summon ice so cold it shatters everything it touches is brought before the Grand Prince of Russia after causing absolute destruction in her village. But instead of condemning her, he asks her to join forces with him and others with power, against those who threaten to overtake their country. Lots of Russian folklore in this one and some political intrigue, and of course, romance. What advice would you give your younger self? Is this the same you'd give to aspiring authors? Two things are key in getting an agent and getting published: perseverance and the ability to know when a manuscript needs to be abandoned in favor of a better one. But, at the same time, trust your instincts. If there’s a story with characters whose voices are so strong in your mind that they will not go quietly back onto the shelf, do everything you can to make sure their story is told. And yes, definitely some advice for aspiring authors, too ☺. I love watching anime. My husband got me hooked long ago—I think the first anime I ever watched was Inuyasha—and we’ve watched it together ever since. Jessica Leake is the author of the adult novels Arcana and The Order of the Eternal Sun, both with Skyhorse. She worked for years as a psychotherapist, but even though she loved her clients, she couldn’t stop writing. She lives in South Carolina with her husband, four young children, lots of chickens, and two dogs who keep everyone in line. Beyond a Darkened Shore is her YA debut. Visit her at www.jessicaleake.com. Congrats! It sounds like a great read! Thank you for this insightful interview. I thoroughly enjoyed it. Jessica, your are a true inspiration. Here is one line that made me think ouch " ... know when a manuscript needs to be abandoned in favor of a better one." That is a very mature thing to grow into. But I have found it is oh so necessary. Again, thank you for this post. I'm quite excited about both books,for this and the next - Through the White Wood! I've always liked ancient mythology, so this book sounds really interesting! I have ties to Ireland and also to Vikings and love mythology. This book sounds exciting and the cover is amazing. Thanks for sharing today! I love anything with Celtic mythology! And Through the White Wood sounds amazing as well! I can't wait to read them. Congratulations! Your book sounds great! Can't wait to read all of them!